The Sulzenau area was used for high altitude alpine farming for centuries. 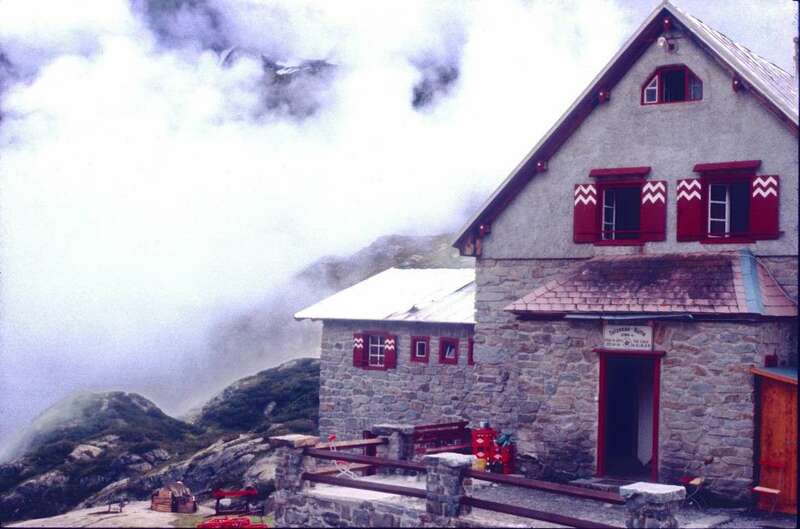 The first trails and huts in the region were developed by the Austrian and German alpine clubs towards the end of the 19th century, during which time the now neighboring huts of Dresdnerhütte (1875) and Nürnbergerhütte (1886) were built. However, this first wave of development passed the Sulzenau high valley unnoticed. A fate of history turned attention towards that magnificent spot in the Alps again in the early 20th century. The German alpine club (Sektion Leipzig) had founded no less than six alpine huts in the South Tyrol area, but after Germany and Austria lost World War I, the German-speaking area of South Tyrol was declared a part of Italy. The Italian state dispossessed the Germans of all their properties and belongings on their new territory. So these people had lost their working area in the Dolomites and all of their newly built alpine bases. For the Sektion Leipzig, as one of the oldest subsections within the German alpine club, it was unthinkable to further exist without a ‘homebase’ in the Alps. So they started looking around for good spots in the Stubai valley. In 1924, they were able to buy some land in the Sulzenau area from a local farmer called Alois Schöpf (my great grandfather). 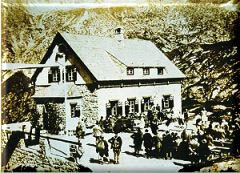 In 1927, the newly built Sulzenauhütte was inaugurated. Because at this stage the Germans had not given up their huts in South Tyrol entirely, and one of the huts in South Tyrol was bearing the name ‘Leipzigerhütte’, they did not follow the well-established pattern of naming the hut after the city where the alpine club was based (i.e. 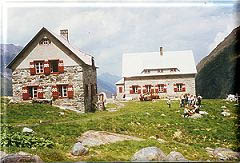 Nürnbergerhütte belongs to subsection Nürnberg, Dresdnerhütte to subsection Dresden, etc.) Instead, they gave the new hut the name of that magnificent high valley: ‘Sulzenau’. When Alois Schöpf was selling the block of land to the Germans, he insisted that one condition be attached to the agreement of sale: that a Schöpf family member should be the proprietor of the hostel (hut). This agreement held throughout the decades. Alois and later his son David Schöpf were the first proprietors of the hut – at least on paper. In reality, his second youngest daughter Martha was managing the hut from the very first moment. Together with her husband Heinrich, she was later also officially acknowledged as proprietor of the hut and only resigned after an incredible 43 years of duty. In 1970 her nephew Leo Schöpf, a young mountain guide from Neustift, took over. 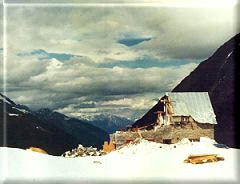 He managed the hut together with his wife Erika for the next 31years. In 2001 they officially handed over to their son Norbert, and together with his wife Rebecca and daughter Zoe, Norbert was managing the until the end of 2013. Now Susanne Gleirscher the sister of Norbert and Leo Schöpfs daughter, with her husband Sigmar and children Tamara and Simon took over the hut and are now pleased to welcome you at the Sulzenau hut. The apline Club Sektion Leipzig was pushing to get an allowance from austrian authorities and did got it, so the monderisation of the hut could start in 2014. Those reconstrution works where extending in to the year 2015 in which the Sulzenau hut was opening the season at 23.June.2015. Now the hut has bedrooms for 2, 1 addtional Lounge. Revnotated where lounges, kitchen, bar, sanitäry rooms. Ant the history of the Sulzenau hut will continue for many years ….